BUT I DON'T WANT A SHOW DOG! Why do people recommend choosing a breeder who shows their dogs to folks who are just looking for a pet and have no interest in showing? Why should breeding to breed standard be important to a pet home? Does it seem excessive, or “snobby”? Type: Breed type encompasses appearance, character, condition, bone structure, temperament, and movement; "breed type is all these things." Breed type also includes a character specific to each breed, a combination of behaviour, temperament and carriage that demonstrate an essence of the breed. Temperament: The general attitude a dog has towards other animals and people. From the Labrador Breed Standard "True Labrador Retriever temperament is as much a hallmark of the breed as the “otter” tail. The ideal disposition is one of a kindly, outgoing, tractable nature; eager to please and non-aggressive towards man or animal. The Labrador has much that appeals to people; his gentle ways, intelligence and adaptability make him an ideal dog. Aggressiveness towards humans or other animals, or any evidence of shyness in an adult should be severely penalized." So. That’s a very basic intro to what goes on at a show... why does this matter? You want a pet, a companion, not a show dog, right? Well, you chose a Labrador for a reason. You’ve done your research, and have read that they’re great with kids and other animals, they’re gentle, not aggressive, they make excellent companions and love spending time with their people. That their good and kind nature predisposes many Labradors to be excellent therapy dogs. Good, responsible breeders seek to preserve those definitive and positive characteristics. 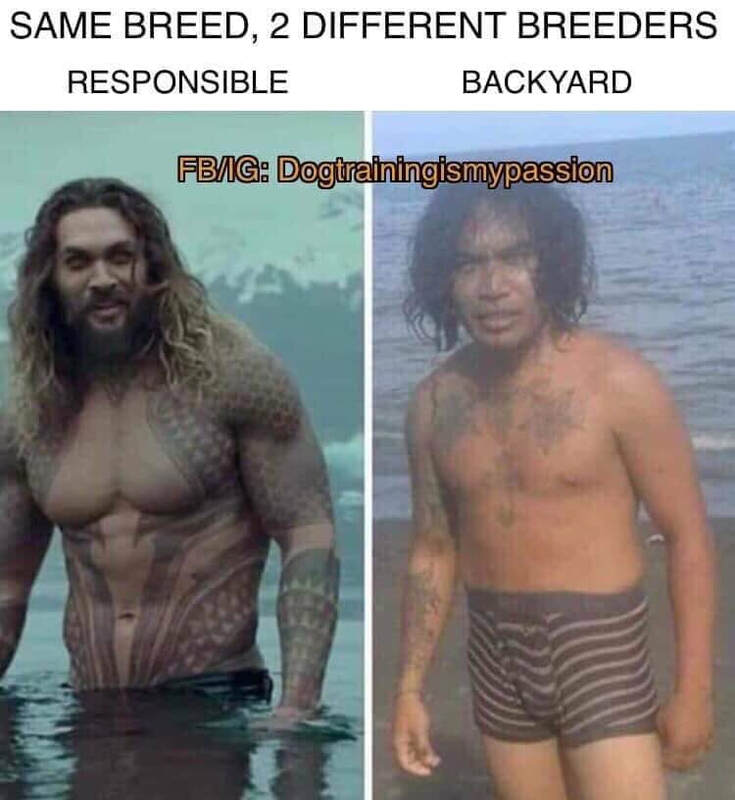 This is not about being snobby, being elitist, thinking that one dog is “better” than another, it’s about ensuring you get a puppy that acts and looks like the breed you fell in love with. It’s about ensuring that all puppies have the best start in life, and will grow into a loving family member. It’s about loving our breed enough to want to see everything that’s good about them preserved for future generations to enjoy. If you want a healthy dog, with a properly sweet temperament, choose your breeder wisely!